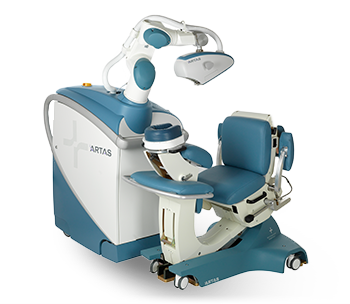 It’s been 9 days since my ARTAS® Robotic FUE procedure. I had 3,000 graphs done. It went exactly as they described it. They went way out of their way for me to get this done in the time frame I needed it… for which I was very thankful. The entire staff was very helpful, kind & professional throughout the whole process… I can’t say enough about every one of them! The only pain I experienced was in the scalp numbing process, which was done by Dr. Anderson in a way that made it very tolerable. There was literally zero pain during the actual procedure. Since then I’ve experienced slight pain in the donor area, which I would describe as more annoying than painful, somewhat like a sunburn. I’ve had no pain to speak of in the recipient area. It’s so amazing to see all this hair now in the area that there’s been none for many years! 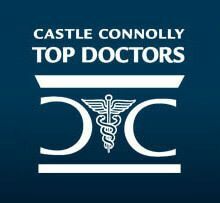 Being candid, it was more expensive than I was anticipating, but looking back now, with no stitches or scars, and with the manner in which this staff conducted my procedure, it was well worth it, and I would definitely do it all over again knowing everything I know now. 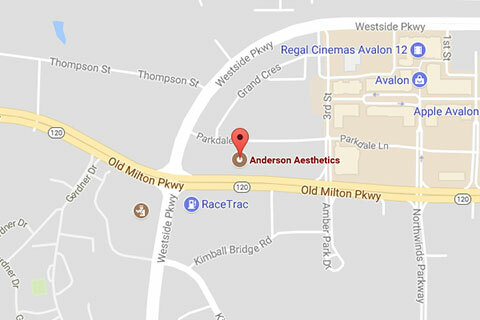 You will not be disappointed with Dr. Anderson & his entire staff! I am 38 years old and living in Hong Kong. I decided it was time to seek help with my hair loss after my wife shared her concerns with the speed of my hairline recession and scalp visibility. I visited my local physician and she prescribed Propecia and Rogaine. I started on both, but found through research that given my age, this was not likely to reverse the hair loss I’d already experienced; rather, it would slow the additional loss. As such, I decided to undergo hair restoration surgery to try to regain some of my frontal hairline as well as to thicken the hair on my scalp. I am from the U.S. and so began researching surgeons in the States. 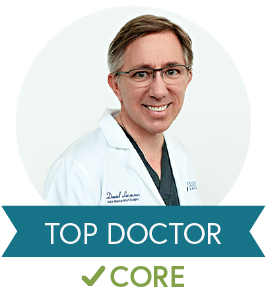 I wanted a surgeon who was very knowledgeable, experienced in this specific field, and certified in plastic surgery – given I had heard that many doctors entered the field without proper experience or cosmetic surgery skills. I found Dr. Anderson through reviews and decided to meet him via Skype for a consultation. Firstly, I spoke with his staff and through two separate conversations found them to be really knowledgeable and professional. I then had a virtual consult with Dr. Ken and both me and my wife asked a lot of questions. He was awesome – really patient and enthusiastic about explaining the details of how hair grows and recedes – and how the different hair treatments work. 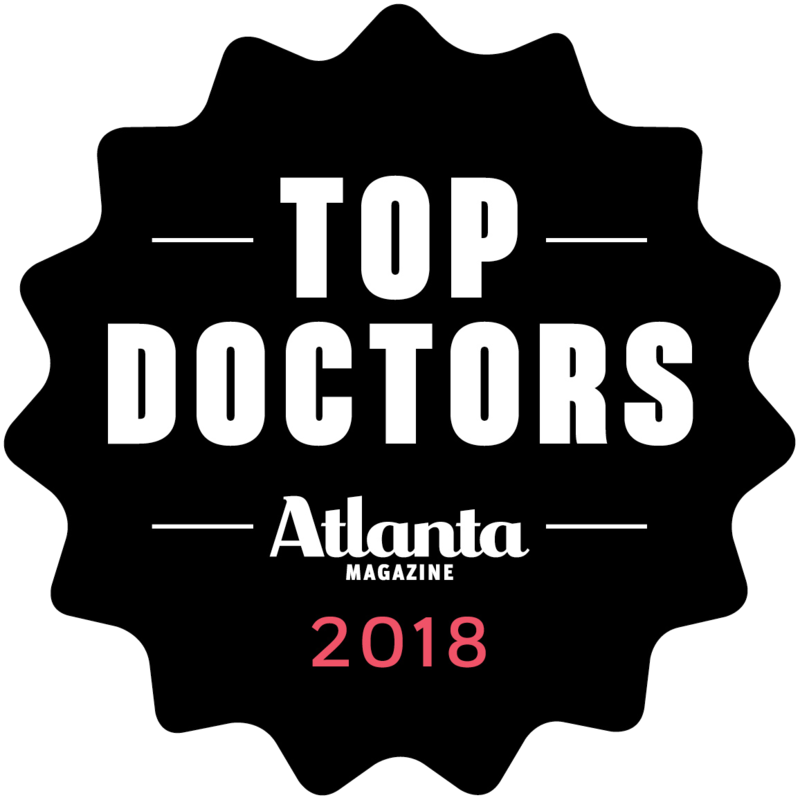 I felt comfortable with going forward with surgery at Dr. Ken’s clinic and so, on my next visit home to the States, visited Atlanta for 4 days to undergo the surgery. From the time I arrived at Dr. Ken’s clinic until know – two months later – the experience has been excellent. The clinic is in a nice neighborhood outside Atlanta. Its very comfortable – well done with a with a cool sports-car theme – even the surgery chair is designed to look like the passenger seat in a Porsche. The staff is great – really warm and patient. Dr. Ken met me at 7 am when I arrived and took me through the whole procedure. I’m not a big fan of surgery, so he was cool with explaining things a few times just so I knew how the day would go. When we started, Dr. Ken popped on the iPod and allowed me to choose the station – it was very casual throughout the process. Surprisingly, I didn’t feel a thing for most of it, despite fairly significant surgical work going on. I was sedated well but still able to laugh at some of Dr. Ken’s humor. The nurses were also really nice and helpful whenever I needed something. Lunch was bought in at ‘half-time’ and then we were done by 4 pm. Recovery took a few days. Sleeping in a reclined position was hard for me, but after a few days, I was able to go back to normal sleep. Within a week, I looked normal and was back to work. It has been 6 weeks since the procedure and I feel great. My hair grafts are already starting to grow in. My stitches came out very easily and the “donor area” – the only place where there is a visible scar – is healing quickly and looks as though it will be fully clear within a month. Great experience and I would strongly recommend Dr. Ken and team. I started losing my hair at age 30. At first I thought it was a fluke, possibly related to something I was doing…using the wrong shampoo, Retin-A getting on my scalp etc.. Within a few months I realized I was experiencing typical male pattern baldness. I wasn’t the type to do a comb-over so I began cutting my hair shorter to accommodate. Before long I stopped recognizing the person I saw in the mirror. I looked so much older than I felt. That’s when I started researching my options. I tried every medication available but the results were disappointing and I gave up on them. I began to research surgical options. As a physician myself I knew I had to do my homework. After months of research I decided to visit Dr. Ken Anderson. He was 400 miles from where I lived but I thought his credentials were outstanding. His background in art, especially medical illustration, helped me realize that I found the right surgeon. He told me I would need 2 procedures to achieve the result I was looking for. After the first procedure my hair slowly grew in over 6 months and by a year the results were excellent. I decided to have the second procedure to increase the density along my part line, even though my friends and family didn’t think I needed it. I just had the second procedure 6 days ago. I would say my experience was almost painless (the only minor discomfort I experienced was with the initial injection of local anesthetic). A few hours later I had a mild headache buy this was easily controlled with two doses of Tylenol #3. The next morning I have no pain and minimal swelling. I did have mild swelling around the eyes on days 3 and 4 after both procedures but not significant enough to prevent regular activities (we went to a Christmas eve party for example and nobody noticed). I will post some more pictures when the second procedure shows its full effect. So far, I couldn’t be happier. The signs of surgery are gone within 5-7 days and the growth of the new follicles is gradual. The results are so natural that my colleagues at work can’t figure out what I did. They assume I’m on medication for hair loss. 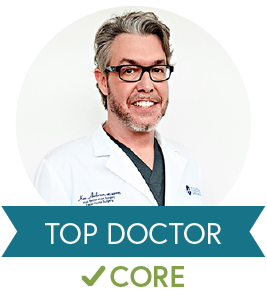 I am a 48 year-old physician who had a prior procedure at a different facility in Atlanta. 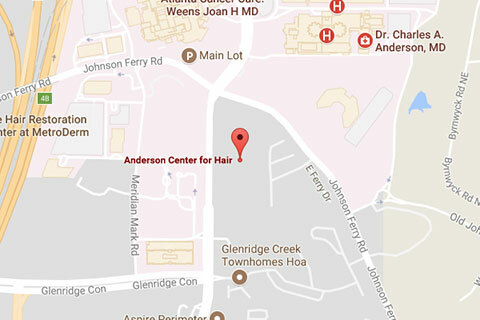 This time I chose Dr. Anderson’s clinic and the experience ,by far, exceeded all of my expectations. He and his staff were very professional and accommodating. 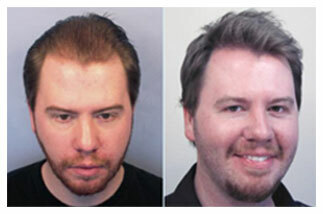 I would highly recommend him to all of those interested in pursuing hair restoration.